Bobby Boeneke was a man who could spot a need. In the mid 90’s, his client and future business partner shared a story about waterfront condos not selling until he installed home elevators. Bobby had a strong background in banking, finance, and business. He also understood the real estate market, the needs of the baby boomer generation as they moved towards retirement and the increase in urban, multi-story housing. In 1996, he and his partner invested their savings into buying a small home elevator company in north Florida. Residential Elevators was born. The company’s vision was to hire the best elevator talent and craftsmen to make home elevators that would become the standard in the industry. They invested in research and technology to utilize the same systems used in commercial high-rise elevators, to create quality elevator experiences for homeowners. Today that vision is a reality. With two manufacturing plants, sales representatives accessible across the nation, and a team of employees who believe in quality and customer service, Residential Elevators is the nation’s leader in home elevators. We are the top choice of leaders in the construction and development community, as well as for individual homeowners. The company remains family-owned and committed to providing customers with safe, innovative and quality elevators. Bobby’s adage to “Do the right thing” continues as our guiding force. We provide factory-direct installation of home elevators throughout the Southeastern United States, Eastern Seaboard, Texas and California, with authorized dealers throughout the United States. Our elevators have an industry-leading capacity of up to 950 pounds and 15 square feet of usable space – the largest size and capacity allowed by the National Code. Our home elevators are built using the same design criteria used in the commercial elevator market, but at an affordable cost. Traction Elevators offer a quiet, smooth ride and eliminate the need for a machine room, saving you money without sacrificing quality. Hydraulic Elevators also provide that smooth, lifting sensation. The system does not penetrate the ground which helps eliminate environmental concerns. We offer options that save floor space and are environmentally sound. We deliver, install and service with our employees – not third-party contractors. We are available to you. There is no charge for telephone customer assistance for the lifetime of your elevator. Our customer service staff can often resolve a problem or eliminate the need for a service call. Our state-of-the-art electric landing system communicates the location of the elevator to the main control system ensuring a ride that is silent, and dependable. A Residential Elevators’ representative is available to understand your home elevator needs and find the perfect solution. They will take you from concept to completion of your elevator. I’ve done woodwork all my life and consider it a craft. At Residential Elevators, my name goes on each cab I build, and I make the time to give the customer the best product their money can buy. Whether it’s the stainless- steel cab I created for a NASCAR driver, or the mahogany and smoked gray plexiglass cab for a beach home, or the crisp lines of the Shaker design for an older couple who were able to stay in their multi-story home, every cab I build comes from a place of caring and craftsmanship. I’ve worked at Residential Elevators for 13 years and I monitor and look for ways to continuously improve our product. When you buy a home elevator, it’s an investment you expect to last for decades. Our competitors plan for ten years and they’re done.  At Residential Elevators, we support your home elevator for 30 to 40 years with our own employees who know how to service and support your elevator, as well as make upgrades as new technologies become available. When I was a kid, a garage door opener was a luxury. Now you can’t find a home without one. Today the same thing is happening with home elevators. We make multi-story homes available and accessible for everyone. I have been with Residential Elevators for 12 years and my focus is ensuring that the installation and service of your elevator is done with maximum quality and efficiency. Our Installation Mechanics are absolutely the best in the business. You can be confident that your elevator has been installed correctly and according to code. Our Service Technicians are factory trained and, along with our Customer Service Representatives, deliver topnotch service for the life of your elevator. Our entire team is dedicated to providing you with the highest possible level of quality and service. When you buy a Residential Elevator, you can know that quality and safety guide every employee in the plant. Because of that, we have the best units on the market. We powder coat metal products to withstand the elements. Our home elevator cabs are made with seven-ply cabinet grade plywood – no particle board ever – with all hardwood trim, a factory lacquer finish, and custom stains. We also work directly with architects providing everything they need for their design, from blocking to openings to door swings with AutoCAD easily available. On the construction site, our goal is to be the easiest sub-contractor you work with, and we’re there face-to-face to make sure that’s the case. I’ve been with Residential Elevators for 15 years and I don’t just sell elevators. I am part of your team, from making the best choice on the product you want and need, to being on the job site. I work with the framers, concrete pours, electricians and all trades associated with your home elevator. Whether you’re the contractor or the homeowner, you don’t have to worry about your elevator installation because we are there throughout the process. There is no other company that does that and we’re proud to offer the personal, on-site service that makes us the industry leader. I’ve been installing home elevators for Residential Elevators for more than ten years. What sets us apart is the pride we take in our work. It can be as simple as arriving on time, to ensuring the wires in the hoistway are neat and organized, to keeping our worksite clean. Every elevator is installed with the type of quality that ensures value for my customer. It’s personal for me. I want them to feel like they got their money’s worth. When you buy a Residential Elevator, we are with you for life. Because we manufacture the product, when we provide service we have the best diagnostics. With our plug and play system, we’re going to know exactly how your elevator is operating and provide all updates to your software. As a service tech, it is my responsibility to connect with the homeowner and take the time to ensure they have a level of comfort and trust with the work I’m doing. I take the time to make my work understandable and to be courteous and helpful from the first point of contact. I know I’ve made that connection when my customers don’t just call for service, they call for Manny. Leading the Residential Elevators team is both a personal passion and commitment for me. With the workplace philosophy put in place by Bobby and Demory Boeneke, my job is to recognize the right people to put on the team and turn them loose to create products that our contractors and homeowners will value and love. I’ve never worked for any other organization where we get the kind of feedback we receive from our customers. They email me about the professionalism of the salesmen and installation crews who they know by name. They call about the genuine caring they received from our customer service team. And perhaps most importantly, they share stories of how their friends can’t believe the beauty and ride of their elevator or how it allowed them to be able to continue to access all levels of their family home as they choose to age in place. Home elevators are what we do, and we aim to remain the best choice for every customer.